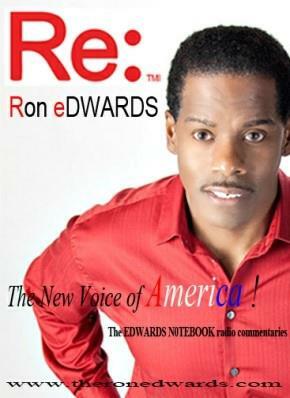 This could not have been more evident last year when the so-called “diverse” company sought to force members of the black community “know their place” in society when it took down a commentary video by Candace Owens which simply critiqued a race-comment-laced press release by Black Lives Matters. To the trained eye this open outward alignment with Google by the ranking Democrat should not come as a surprise. Not only does the silencing of Conservatives help Nadler’s own party agenda, but certainly also confirms his allegiance to donors who helped him get elected. 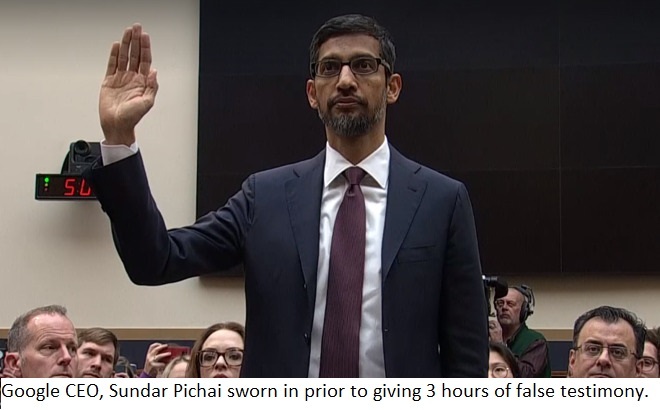 As it turns out, Nadler’s top campaign contributor was Google parent company Alphabet Inc.
Pichai’s opening statement after being placed under oath was full of lies and half-truths. The CEO claimed, for example said that he “leads the company without political bias…” But, only three months ago, an internal video was leaked to the media that showed the very political bias of not only Pichai, but the founders and the company heads as well. In addition, the world was made acutely aware of the company’s feelings against those who disagree politically when Pichai himself fired Google engineer James Damore. Last August, Damore penned the scientifically backed memo which pointed out the biological differences between men and women as a possible reason for disparity of women in the tech field in general. The memo also pointed out the fact that the company was essentially a leftist “echo-chamber” that claimed to support diversity of people but did not support diversity of ideas. Pichai not only fired the engineer, but then went on record several months later and stated that he had no regrets about it. The CEO also made the claim that Google helped millions of companies, but failed to disclose how it also works to prevent numerous companies from succeeding. Over the last several years more and more conservative news outlets have complained about algorithms that force leftist news to the top of search results. Another way the company works against conservative/libertarian companies is via its analytics tool which throttles down hits on a website to make it look less active. This tool claims to show actual visits from internet users and is used as a de facto method by many advertisers to decide where to spend advertising dollars. InternetDeputy.com, for example may have several hundred thousands of visitors in a thirty-day period but the analytics tool only shows 700 to 800. The entire session which lasted approximately three and a half hours was riddled with leftist politicians trying to show support for the CEO with arbitrary phone searches and smear tactics designed to make the Google bias claim appear as unwarranted. However, a revealing point of the interview took place when Sundar Pichai was literally caught lying and then continued to lie arrogantly in spite of the damning evidence against him. Rep. Jim Jordan (R-OH) read a company internal self-congratulatory email from Google’s multicultural marketing officer Eliana Murillo. In the communication she acknowledged directly to Pichai that the company had “features” that focused on getting out the Latino vote in “key states” for the 2018 Mid-term election. The company subsequently went as far as paying for bus transportation for Lations via leftist organizations. 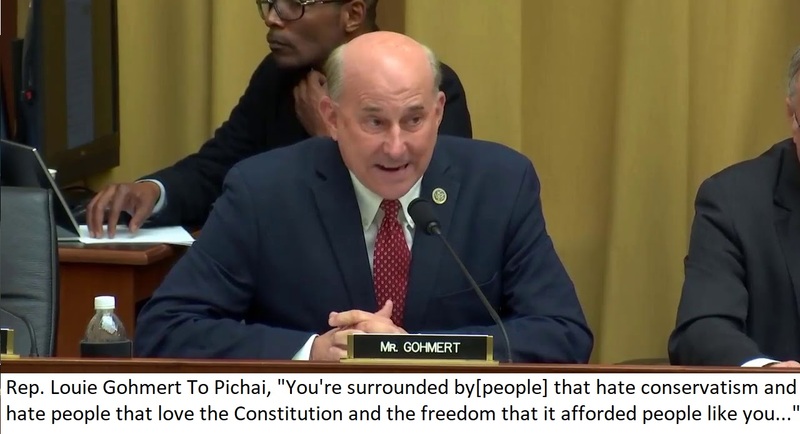 Another Representative that took Pichai to task was Rep. Louie Gohmert(R-TX) by pointing out that the Google uses “trusted flagger” (informers of ‘hate’ speech) Southern Poverty Law Center (SPLC). SPLC is known for being an extreme leftist political institution that improperly labels conservative and Christian organizations as “hate groups” and has lost law suits as a result. Gohmert pointed out a lawsuit that SPLC lost, saying that Google should have to be accountable for that payout as well for putting aligning with the leftist hate labeler. “You trust people that stir up a lot of hate,” he said to Pichai, who listened silently. Many of the politicians on the Judiciary Committee focused on the data collection that Google engages in, asking questions regarding location and behavior tracking, but given the indifferent tone set by the CEO, nothing he said would have any merit. In one case Pichai denied the well known fact that Google is working with China to develop a search engine that will allow the government to track behavior and movements of citizens for purposes of punishing political dissidents. The Google CEO as well as the company heads themselves cannot simply act as if they are unaware and continue to operate without the American people knowing that they are being lied to. Every aspect of the company makes it painfully clear that the company does indeed engage in leftist politics at every turn. From its search engine to its YouTube Creators for Change, the question is not whether the bias is occurring, but how far the company will go to silence those who are forced to use its platform or no other. Google technically has the power to silence most any individual for arbitrary reasons, especially for those with political or religious beliefs that run contrary to the massive organization. Most of the conservative people whose political content is manipulated do, as Rep. Louie Gohmert stated, believe in the Constitution and freedom. Sadly, the company remains undeterred in its role to destroy the very liberty that allowed it to grow so large.